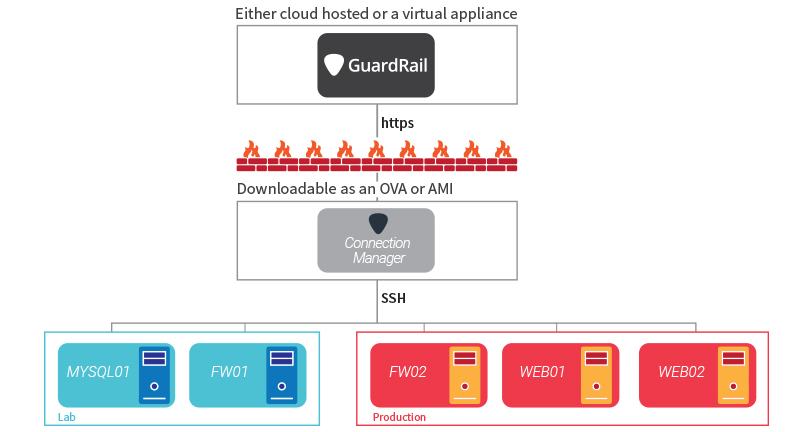 We recently rewrote the GuardRail agent as a connection manager to reap the benefits of agentless monitoring. Why get rid of agents? Because agents must be updated. They are like a free puppy–it's easy to take them home but you have to feed them, take them to the vet, and clean up after them for years afterward. The new connection manager allows for an agentless architecture while keeping all SSH activity behind your firewall. It's fast, light, easy to maintain, and secure.